I mentioned a few weeks ago that I’m not allowed to take vacations anymore because when I’m rested I come up with new things to do. We are now in the heart of the dining room adventure. Also known as “dust phase”. I like to fancy that it was a good dining room. I’ve served fine meals there – prime rib and pancakes, turkey dinners served with silver, pounds of pie and experimental Indian recipes. After nearly every one of those meals, I’ve cleared that table to have it reset with board games. We have spent hundreds of hours there, together with our friends and family. I cannot fail to be fond of that space. 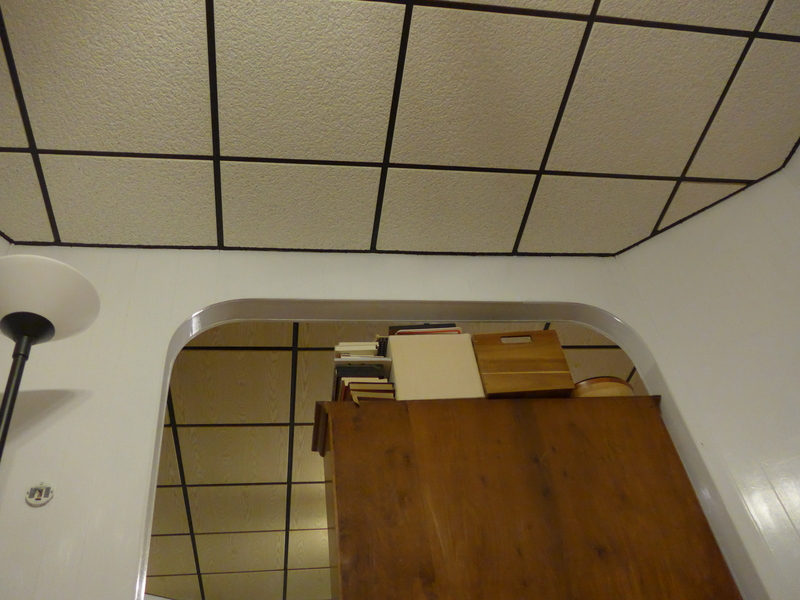 Every room in the house has a different tile of drop ceiling, taking about 9 inches off the height of the rooms. 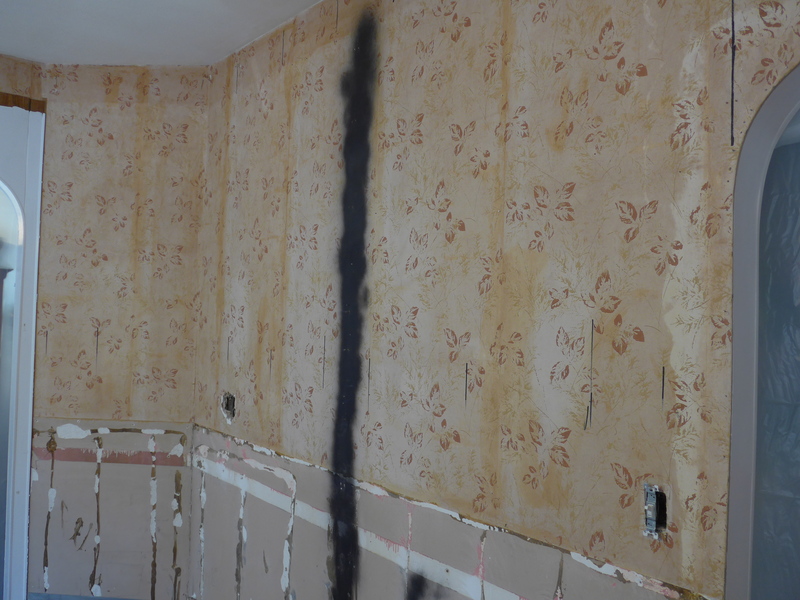 The cheap, fake paneling looked better when we painted over it, but it still didn’t look what you would call “good”. Our house was a good deal when we bought it almost 8 years ago, partially because the entire house was in the ’70s style. 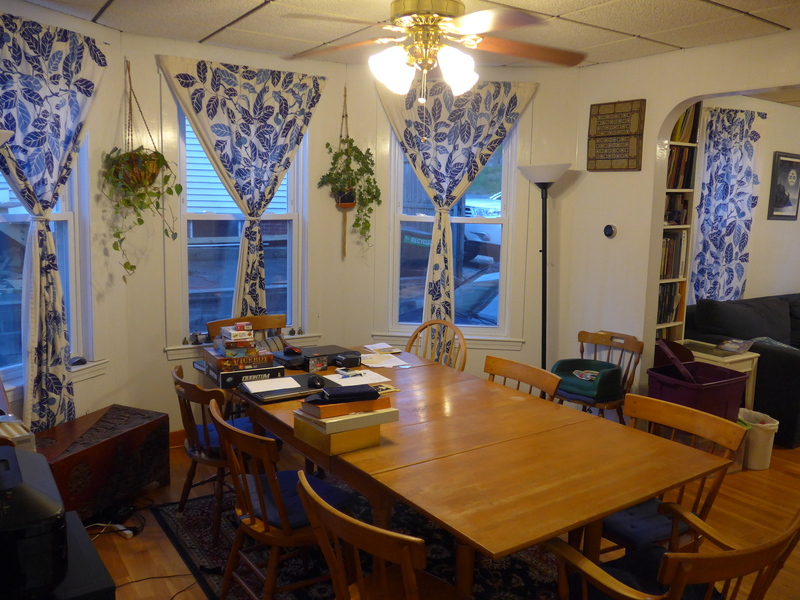 The bones of the house – built in 1898 – are excellent, the layout is ideal and I really, really love my house. But the list of things that need to be done to improve it is massive. They fall into two main categories – effort and capital. (And then there’s capital under $1000 and over $1000…) While we have plans for some big capital projects (windows, attic renovation, furnace) somehow we had the brilliant idea that a 12 week hiatus in gaming (due to one of our friends doing something cool) was the perfect time for a largely effort, under $1k project. The room echoed when we moved out the furniture. It felt like we were moving out, with that hollow feeling. Then we (and by the way, when I say we I generally mean “Adam”) removed the patina of the ’80s to uncover the remnants of the ’40s. 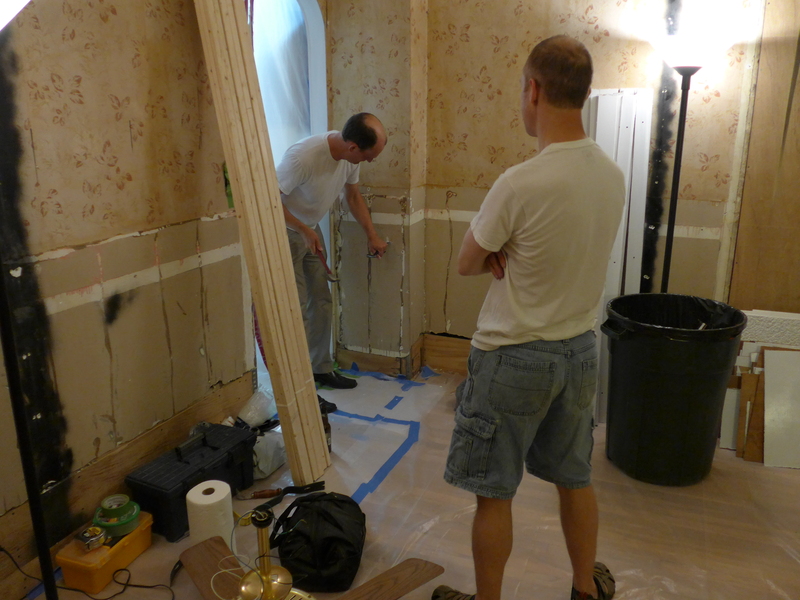 When we made this decision, we didn’t quite realize that there was no flooring there… oops. This weekend was a huge one in our plans. Adam took Friday off to work on it. 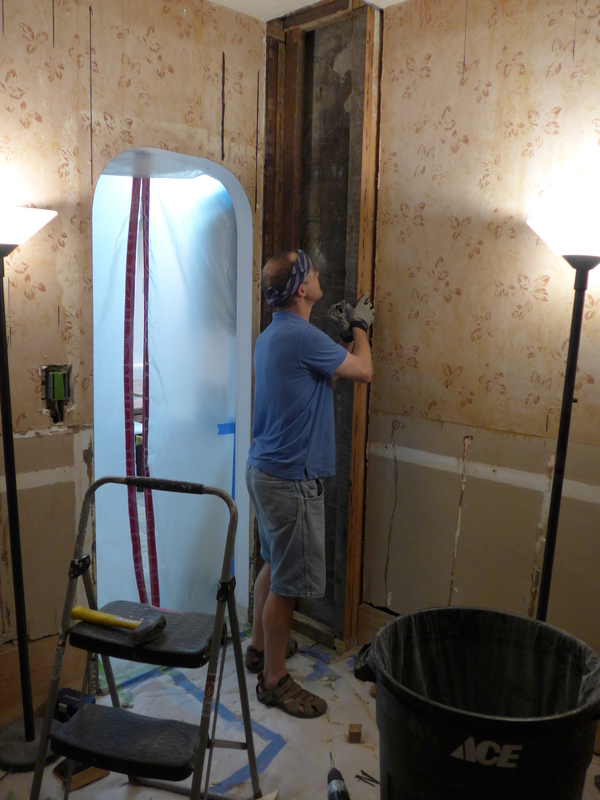 He put in the ceiling strips (acoustically isolating ones, so we hear reduced thumping). Saturday, Adam and I spent the full day working together. 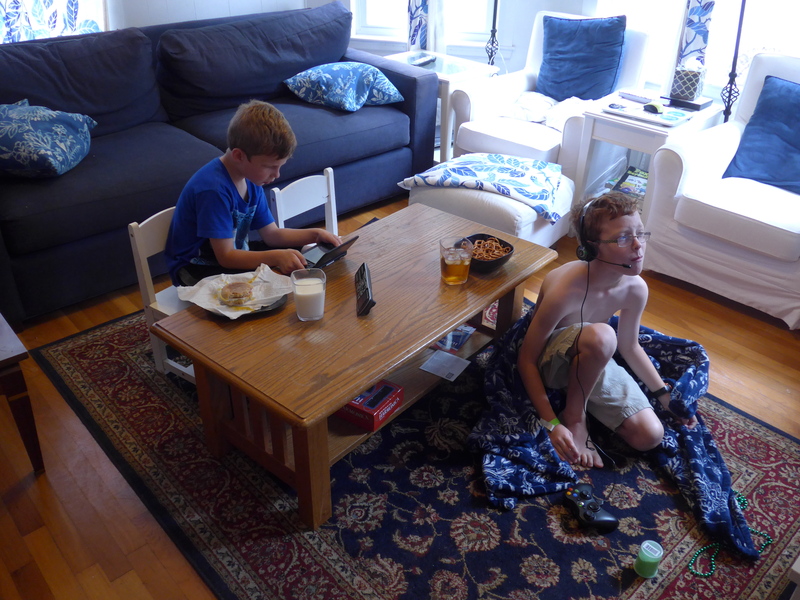 The kids played video games from 7 to 7, quite literally. (They loved every minute of it!) We got the ceiling panels up. 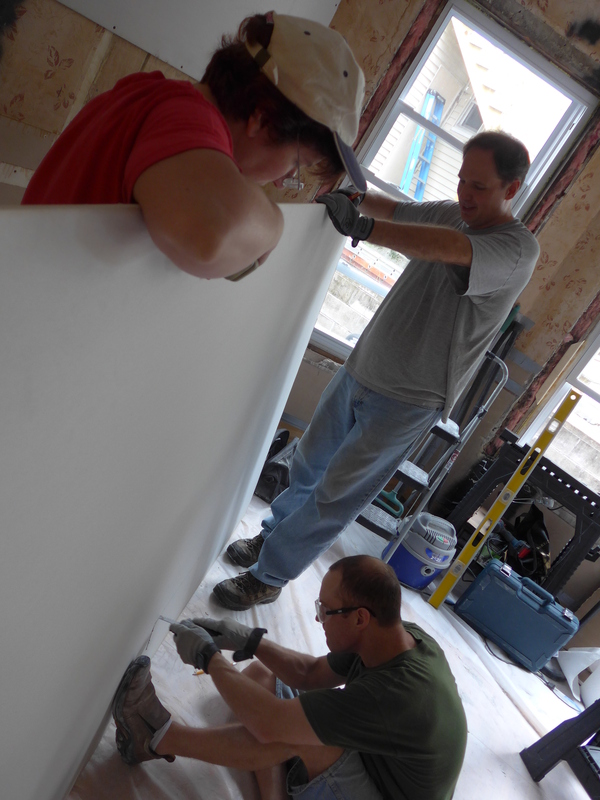 Today, while I went to church, friends came over and helped Adam get the biggest wall boards in place. 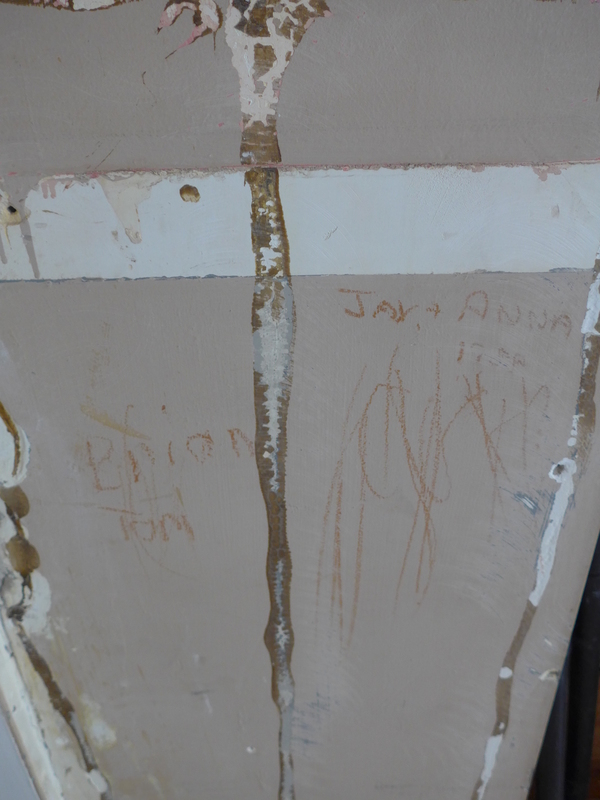 We have finished the destruction and entered the (very dusty) construction phase. 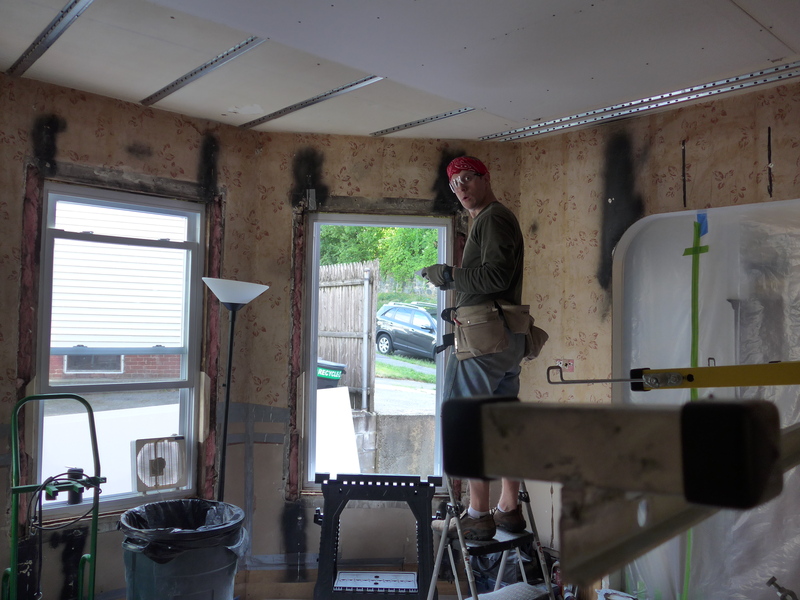 We still have SO MUCH to do: all the smaller drywall surfaces, tape & mud, sand, prime, paint, trim (trim is so huge). 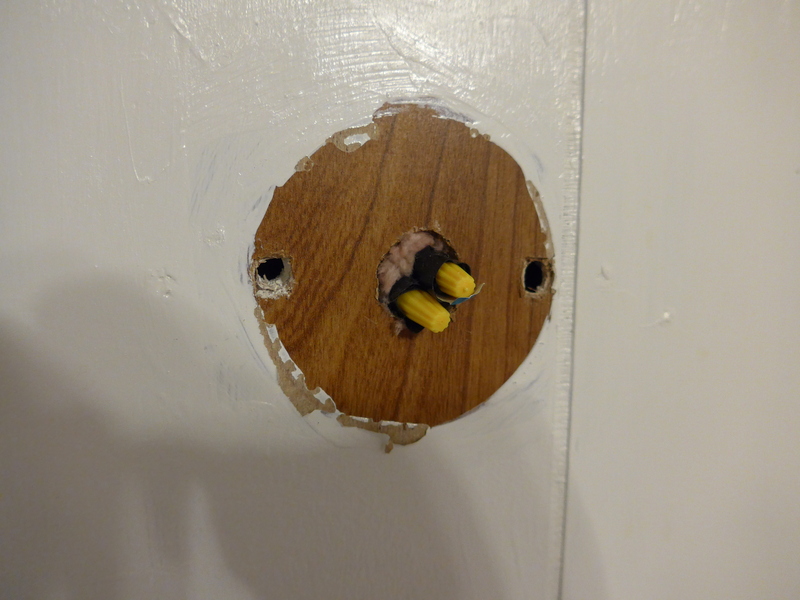 And then the million finishing details… I’d like a nicer light fixture. 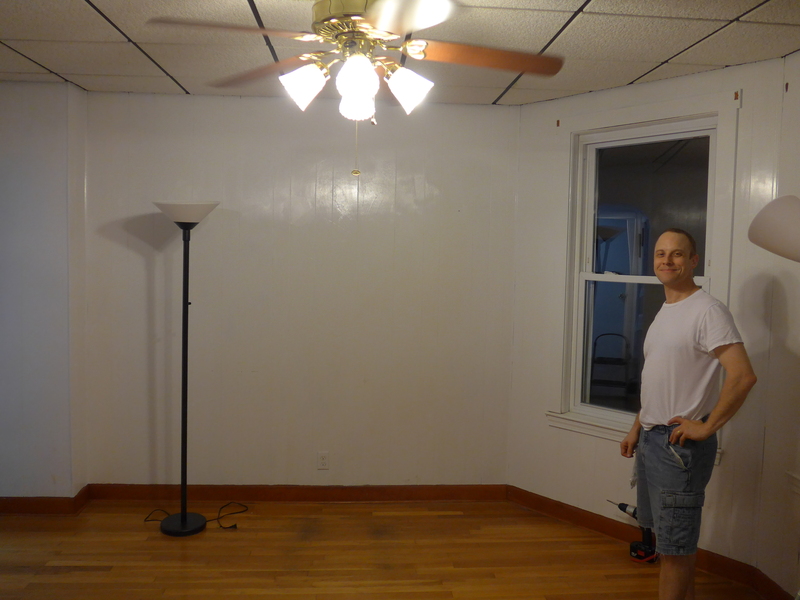 (Do I go for a chandelier trusting that I’ll actually get AC next year, or stick with the ceiling fan? And can I get a nicer ceiling fan/light fixture?) I’d like to paint one of the walls an accent blue. We’ve gone back and forth considerably on crown molding. We still have many nights and weekends ahead before we move our beloved table back where it belongs, to set a meal in front of friends. Anyway, you can see all our progress so far in this gallery. I’m looking forward to a triumphal post when the labors are complete. Until then, if I’m less available for social plans than usual… well, this is why. Absolutely amazing. You guys lead the pack. Goooooo Team. Hugs. Next Next post: These days are just packed!